How can it be December already?!?!? I feel like I missed fall and all the wonderfulness it brings. Nevertheless, time moves on and the holidays are right around the corner. I am hosting my first Christmas Open House in my new home on Friday, so my schedule is packed with cleaning, cooking and, of course, baking. 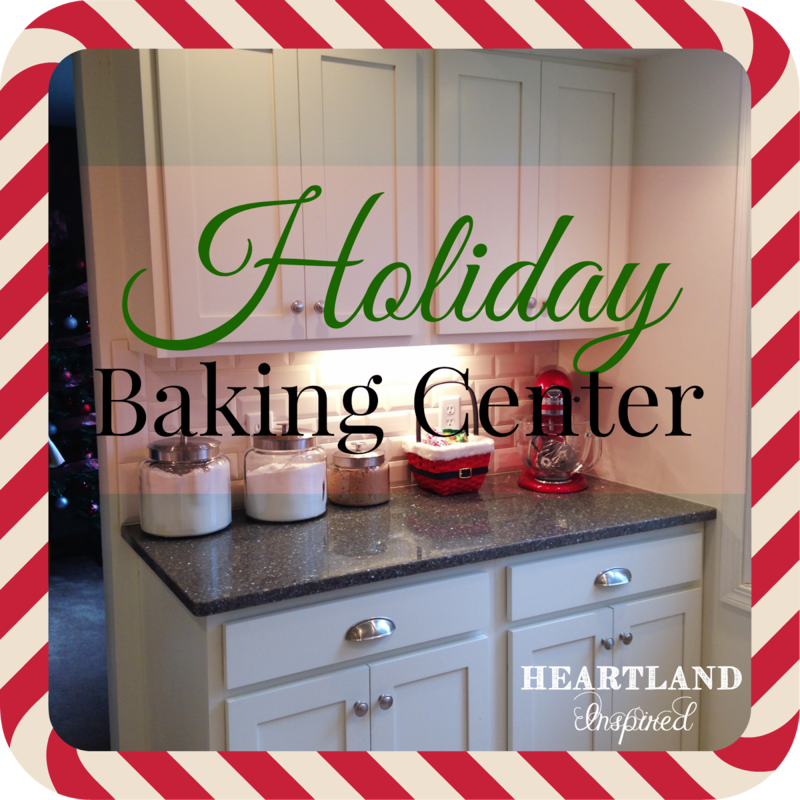 My baking center is going to make my holiday baking - and all my baking throughout the year - a little bit easier is because everything is close at hand. 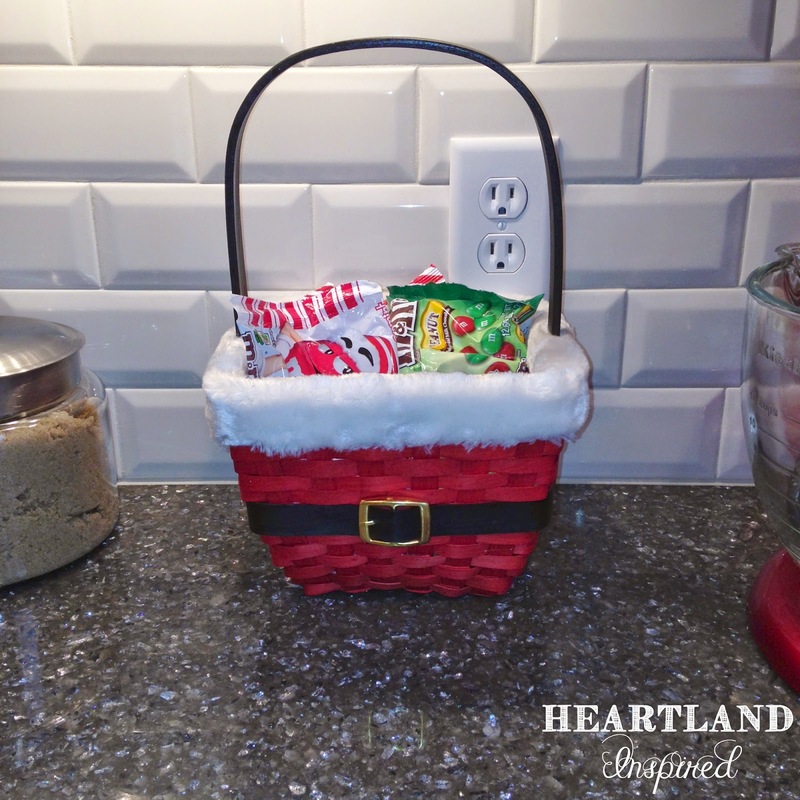 Along with my flour and sugars, this cute little Santa basket holds some of the special holiday baking items like M&Ms and Peppermint Hershey kisses. It provides a little fun holiday cheer to this area. 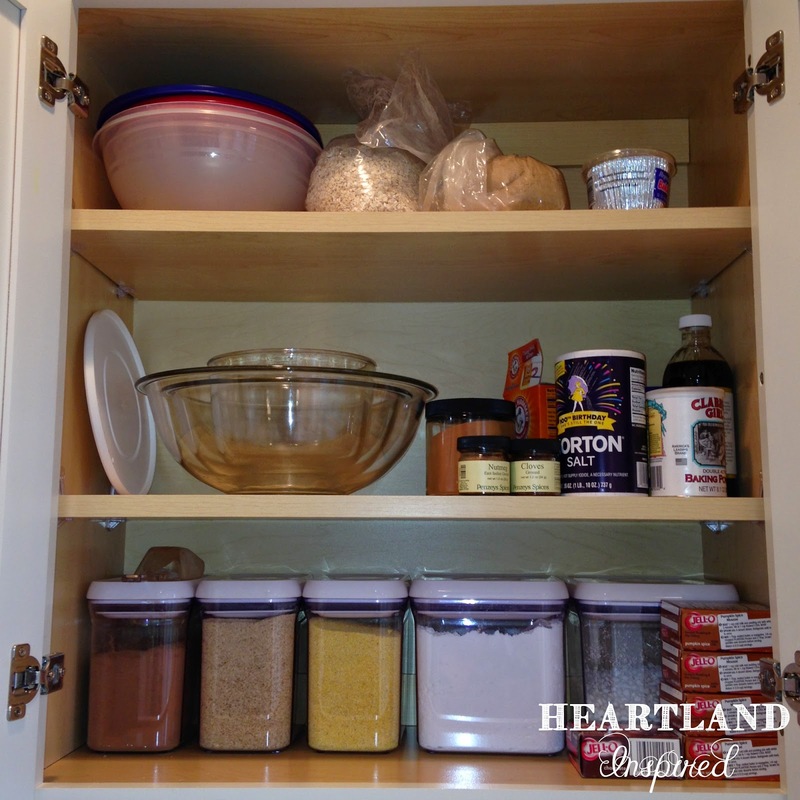 With flour, granulated sugar and brown sugar kept on the counter in pretty canisters, the top cabinet is left with lots of space for baking staples - cocoa, powdered sugar, vanilla, yummy baking spices. 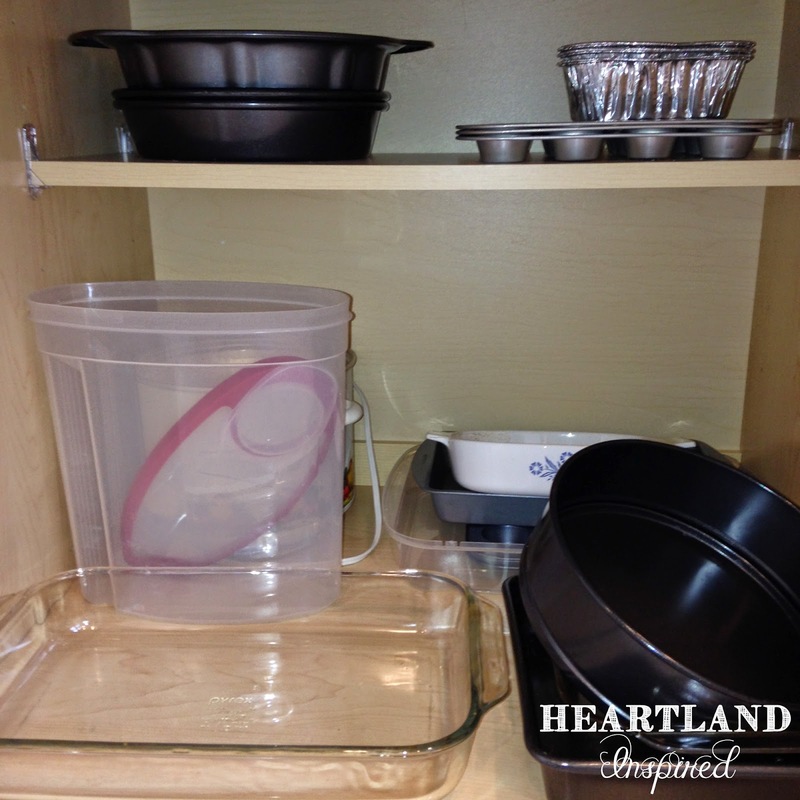 It also keeps some of my back stock items and some bowls. Please don't pay too much attention to my messy drawer, but I know what is in here. Measuring spoons and cups, spatulas, pastry cutter. 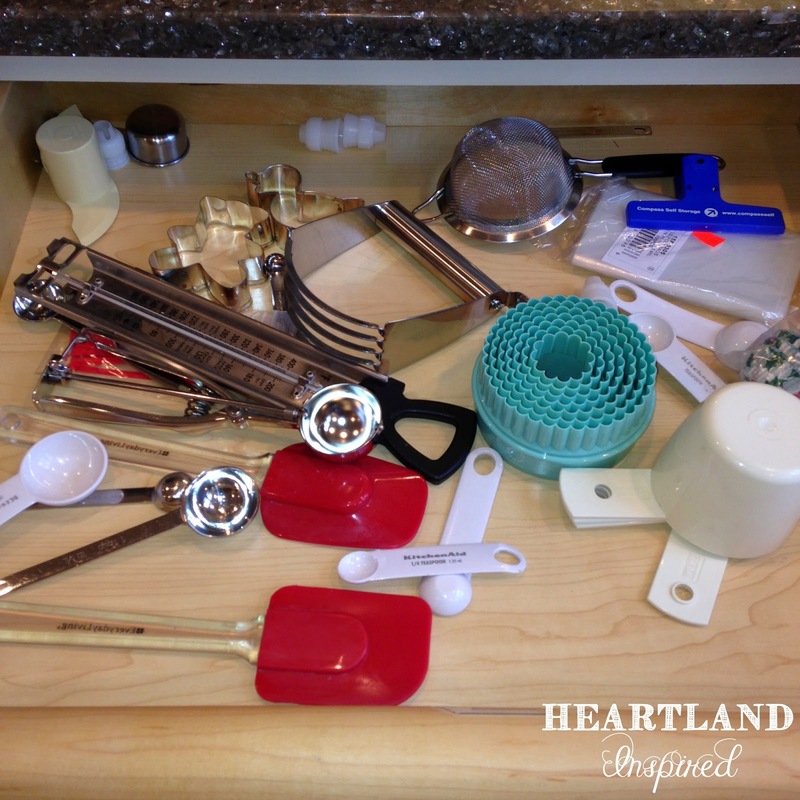 I am sure as I bake more and more this drawer will become more filled making organization a priority. The cabinet below is the home for all my baking pans. 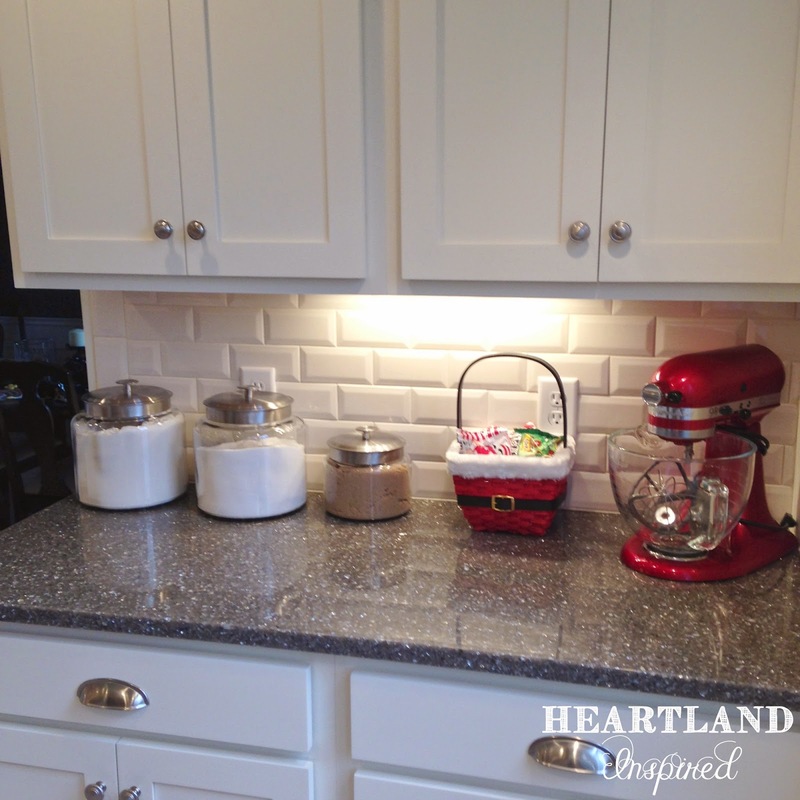 My cookie sheets are missing, but that is because they have a special spot right next to my range that holds all those big flat items, like my cookie sheets and cutting boards. Time is ticking away and I need to get baking. First on my list are these yummy White Chocolate Peppermint M&M cookies. Definitely give them a try!